I’ve talked a lot on this blog about learning things the hard way. I have no formal education in anything. My whole life I have either learned by doing or learned from others. The learned by doing things always involve a great deal of trial and error. No where is that more true than in my quest to have a garden. To grow flowers that bloom and grass that’s green. It’s taken me years…more than I am prepared to admit. I’ve shared some of what I’ve learned since the beginning of my blog and today I’ve rounded up what I consider to be the best. Posts that I’m proud of and that share my hard-earned knowledge. 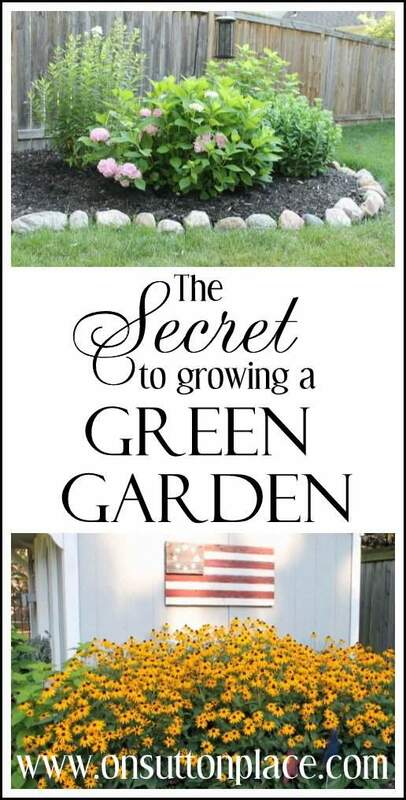 I’m calling this collection Gardening Tips and Tricks from a DIY Gardener. Emphasis on the DIY. Note: I live in Gardening Zone 6. Our winters can be harsh and our summers hot. Most of what is included in this post can be used anywhere in the US except perhaps the deep South. Sometimes you can create conditions where a plant will thrive so don’t rule anything out. I’ve learned to never say never. First up is my tutorial for installing a soaker hose. For me this was life-changing and I highly recommend it! My fence row garden has only one plant that has survived from the original planting. I’ve spent countless hours in this little patch of dirt trying to make it into a full cutting garden. I’m not there yet but I’m getting close. 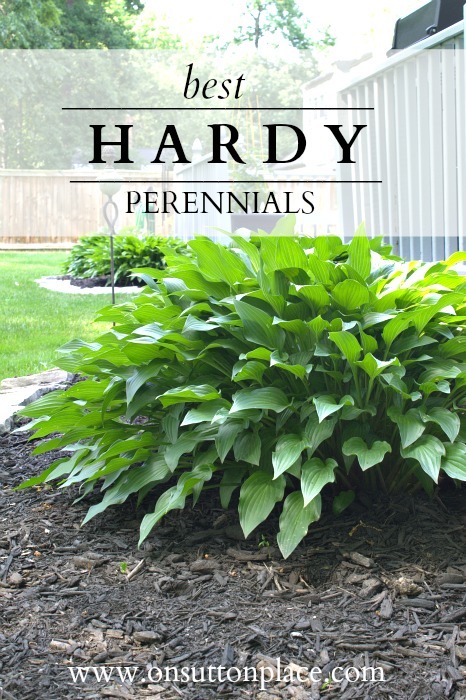 There are a few hardy perennials that are proven winners when it comes to survival. I share my favorites in this post. 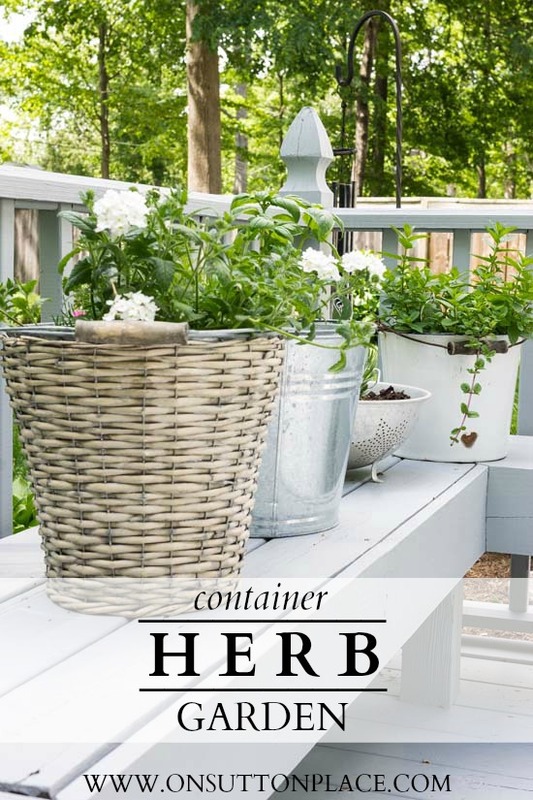 I love herbs and for me a container garden is the perfect place to grow them. I shared my go-to plants and where this garden was located in 2013. For 2014 I switched things up and planted a Vintage Container Herb Garden. 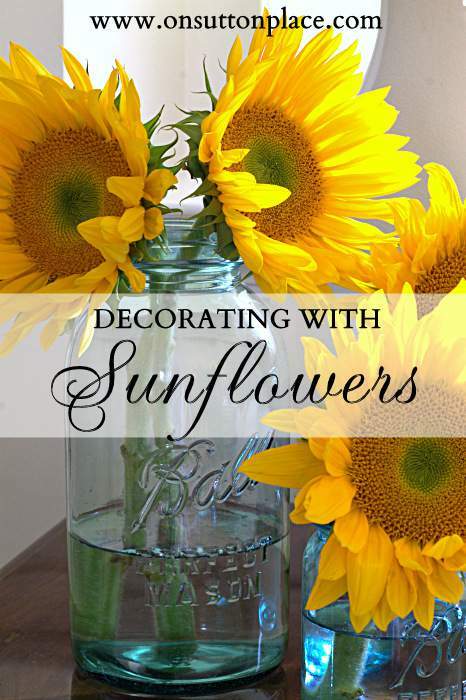 Late in the summer of 2013 I started a little series called Decorating With… I love bringing flowers into my decor and think it’s the perfect way to add color and a natural element. I hope to pick up with the series again soon. My most frequently asked questions revolve around the planters on my front porch. (Affiliate link.) 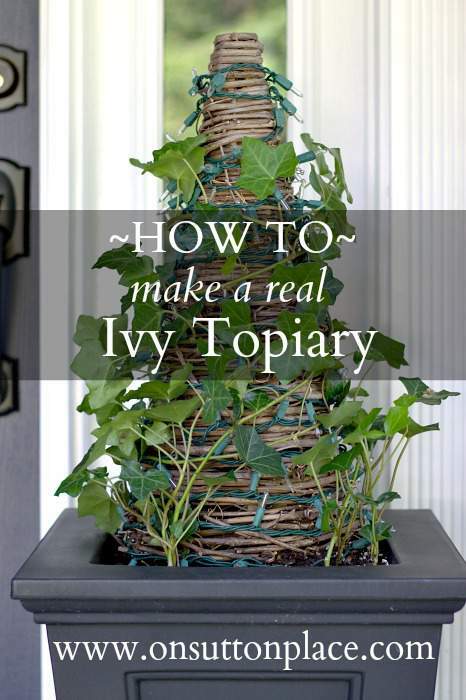 Last fall I showed you how I make the ivy topiaries that live in the planters from September through the Holiday season. When I planted this clematis I didn’t even know what it was. I just knew I liked the color. It has turned out to be one of my favorite plants and a show stopper every year. Growing bittersweet isn’t for everyone…but I share my 2 cents and how the harvest differs from year to year. 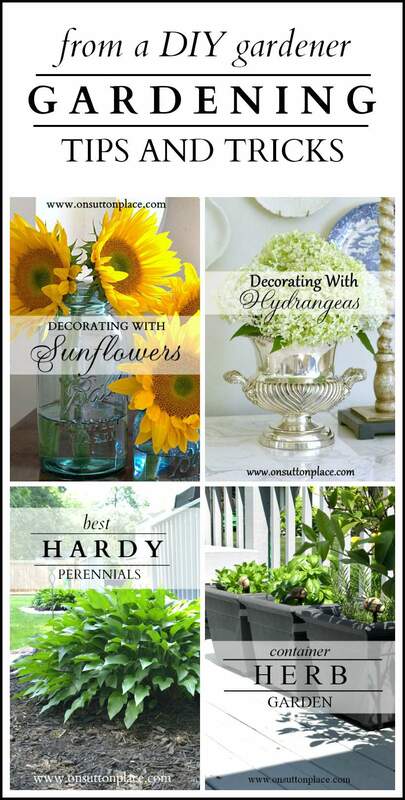 Last summer I started a group Gardening board on Pinterest called How Does Your Garden Grow? It steadily grows in followers and I have the all-time best group of pinners. 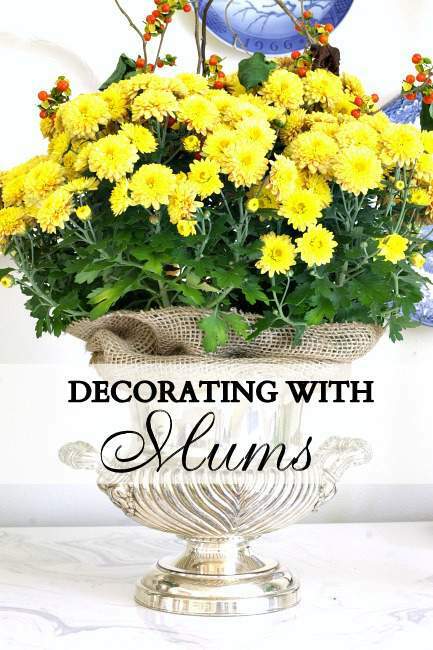 If you like gardening inspiration, tutorials and stunningly beautiful pictures, follow this board. I promise you won’t be disappointed. 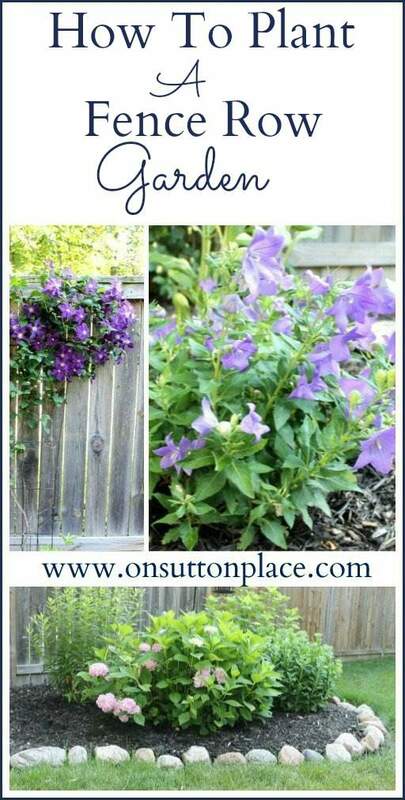 Ann, this is a fabulous roundup of your gardening posts! 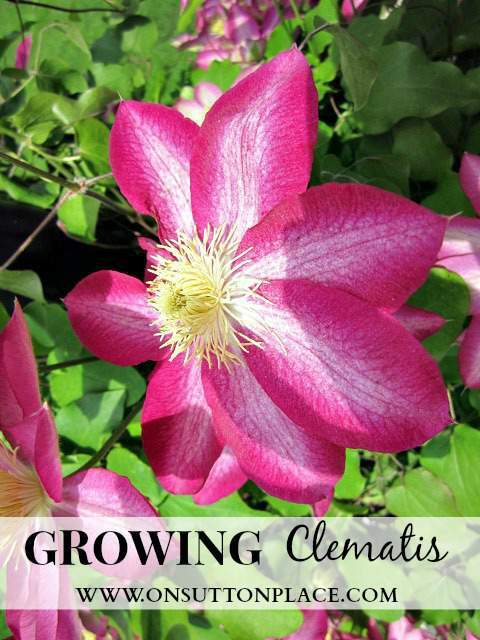 I have two clematis plants, but neither of them look anything like yours! Maybe this will be their year! You know, gardeners are eternally hopeful! It was 85 degrees here for a few days last week so we got lots of things planted in our vegetable garden. Hi Ann, Linked to you yesterday from Southern Hospitality. Wow! I can’t get enough of looking at your pictures and reading your blog. You are so inspiring. I have so much I want to do to my house and in my yard. Thanks for this post. It is not as warm here yet, I am in zone5, but we are getting there. Today, I will walk around my yard and dream…then I will come back in and declutter. I have some painting I want to do in the dining room. Learning by doing has always been a great accomplishment in itself, unsurpassed by any other. Mistakes are overcome along the way. This makes you and others the real experts i/e experience. Love your blog and am blessed to have found it. Oh, Ann, you give me such hope! I keep falling into the mind trap of “I don’t know how to…” or “I’ve never been much of a …” I try to tell myself that just because I haven’t been a gardener in the past, doesn’t mean I can’t be now. This will be my year! Thanks so much for all the helpful hints. This is such a helpful post, Ann. I have thrown myself back into gardening at my city house~ I had let it go because the lake house involves so much more care outdoors in gardening and just about everything else. So I have been adding perennials and getting my veggie patch in shape for planting after 10 years of not using it! It’s exciting. I’m following your gardening board and I am going to check out some of the posts you have linked to. Thank you so much! Lovely gardens. I’m especially interested in the bittersweet and the herb garden. 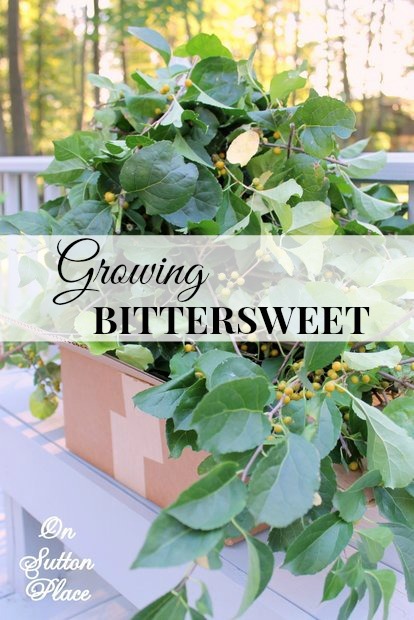 Did you plant the bittersweet in a container and did you get the plant at a nursery? I don’t recall ever seeing it for sale here in Indy. Much like those who look through gardening catalogs, I am saving this post to go through as the temperatures finally warm up, the sun is beginning to show itself, and there isn’t snow on the ground (for the moment). We live in Zone 4, and I know better than to plant too soon, but after this long winter, I am more excited then ever to get outside and play in the dirt! Thank you for sharing your tips! Ann, thank you so much for these gardening tips! 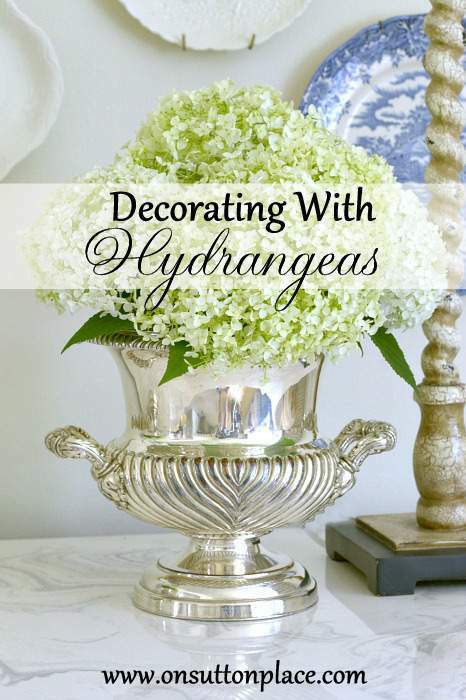 I have enjoyed reading them and they are so helpful! 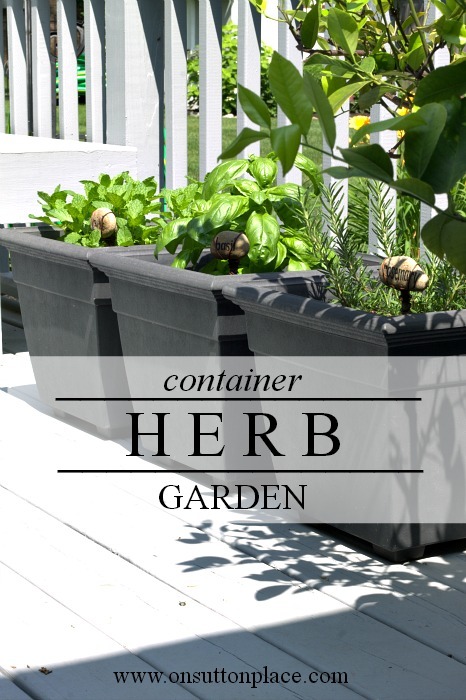 I am especially interested in the container herb garden and found this especially helpful. Your garden is beautiful. I know Ohio, like Pa has had a lot of snow and I’m sure you are as excited about the Spring and warmer weather as we are too! Happy Spring! I will have to check out some of your DIY projects. I live in zone 7 so we’re not too far off. Your garden is gorgeous, Ann! I think you’re looking like a real pro when it comes to gardening.